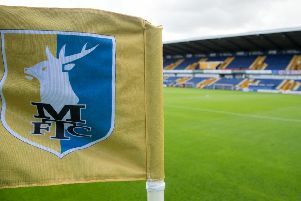 LOMAS ON MANSFIELD TOWN - As Grant lifts midfield to new heights, is this Stags’ best ever? Once Jacob Mellis got into his stride this season, some Mansfield Town fans were saying he looked to be the club’s best-ever best central midfielder. But mid-season – enter Jorge Grant! The young Forest loanee may only have been here a couple of weeks but what an impact he has made. His 19 goals for Notts County at this level last season emphasised what a threat he is. Now a year older and wiser at 24 and in a side that is playing fantastic, attacking football and employing him exactly where he wants to be behind the strikers, Grant can now hit new heights. It’s clear he is already loving every minute of it and, being voted man of the match in both his home games so far, there is no doubt fans are loving every minute of watching him in action too. Grant simply looks a class above as he glides around the pitch making monkeys of opponents. No wonder Tranmere players were trying to hack him down last Saturday - it was the only way they could stop him. He draws fouls like lightbulbs draw moths and on this form he is worth the admission fee alone. Grant’s expertise with dead balls was also underlined by his brilliant free kick on Saturday – what an asset to have in your arsenal. He is clearly enjoying being in a side with best pal Tyler Walker - their link-up play is almost telepathic – as well as fellow Forest loanee, keeper Jordan Smith. It is perfect chemistry for a potentially perfect finish to a season that started slowly but promisingly. Not it has gone up a couple of gears and Grant looks to be a player who could take the club into top gear and floor the accelerator. With Neal Bishop’s experience and teenage-like enthusiasm, there can’t be a better midfield three in the country. Older Stags fans still going must also be musing whether the club have ever had anything as good as Bishop, Grant and Mellis. And Mansfield still have midfielders of the high calibre of Otis Khan and Alex MacDonald as back-up. Grant is contracted to Forest until the end of next season and can clearly play at a much higher level, but Stags fans will hope he stays as long as possible in their colours. In the meantime, if he maintains this form, we can all just sit back and enjoy. With Hayden White out injured Stags brought in Gethin Jones on loan from Fleetwood this week to cover the right back and right wing back positions. 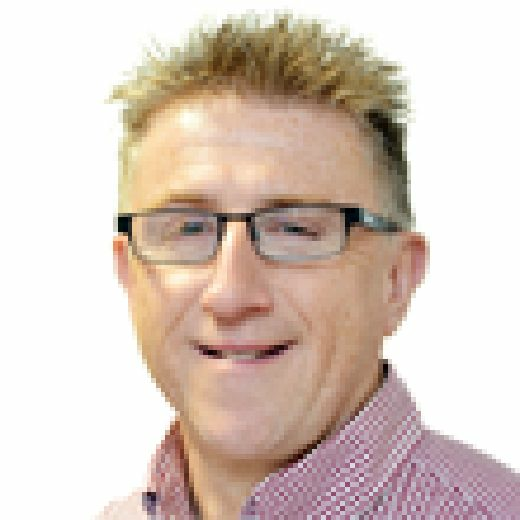 With transfer deadline day ahead tomorrow (Thursday) and no other news as this column was written, Stags were left with the dilemma of having one too many loan players. Jones’ arrival made it six and they can only name five in a matchday 18. If Jones is to be used, and surely he will be as CJ Hamilton is less effective from that far back, then which loan player would be dropped? With Jones in the side and the Forest trio of Grant, Walker and Smith sacrosanct at the moment, it’s hard to imagine new striker Nicky Ajose or central defensive star Ryan Sweeney left out of the 18 every week. David Flitcroft’s options seem to be leave out Jones unless needed and continue with Hamilton there, drop Sweeney or Ajose, or – the best option – agree a deal to buy Sweeney or Ajose by 11pm tomorrow night.